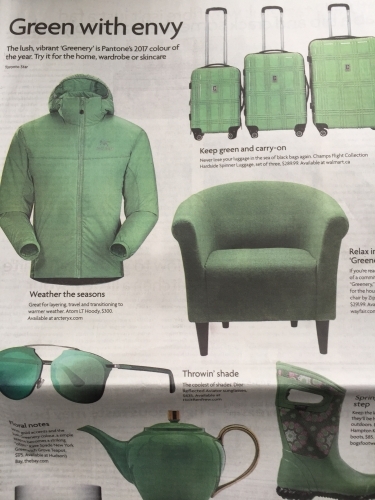 Pantone’s Colour of the year for 2017 is “greenery”. Following are some examples. And expect to see this colour as part of my Spring Studio Sale on Saturday March 4th from 11 a.m. to 4 p.m.